Loukaki’s Tavern in Langada is the place where you can listen to live Rembetiko (Rebetiko) music. Every Saturday night Themistokles and his team play typical Greek Rembetiko music in front of their tavern. 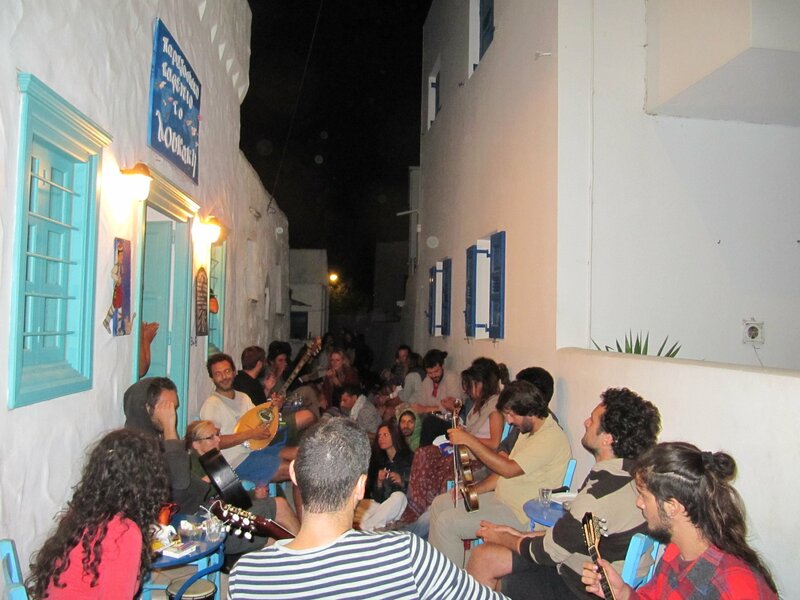 In summer also other musicians from all over Greece join them and play their sessions. We are sure you will enjoy the atmosphere in the (very) narrow lane in front of Loukaki’s! 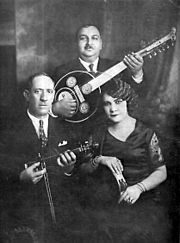 Rembetiko is a kind of greek music originated in Pireus, in Smirni and Konstantinopel (today: Istanbul). The first known songs are from 1880/1890 played from outlaw people in Smirni. The songs tell stories about love, drugs, prison, poverty and about leaving your own country to migrate into other countries. Places where the people play Rembetiko music was called cafe-aman. 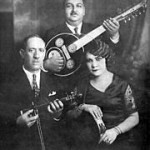 Musicians were Greeks, they played together with people from Turkey, Armenia, Jews and Arabs. Rembetiko became famous in Greece after 1922, when the Greek immigrants of Smirni moved to greece. 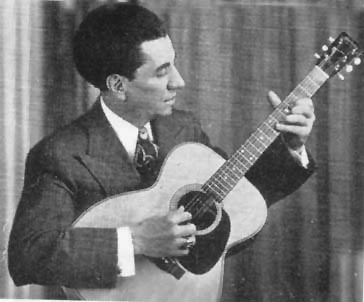 At this time the first recordings of this music were made. Rembetiko became less important in the 1950-ies 60-ies, it typically perks up in times of crisis in Greece. Today people more and more play and listen to Rembetiko music. 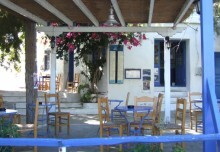 Amorgos is very familiar with Rembetiko. Giorgos Katsaros a well known, famous rembetiko player was born on Amorgos Island, additionally people from Athens like to play Remebetiko when they travel to Amorgos Island. In Langada a number of young people like to play the traditional and popular Rembetiko songs. It is a pleasure to listen to them every Saturday in the narrow street in front of Loukaki’s. Join them and enjoy the relaxing and entertaining atmosphere of great music, dancing, eating, drinking, staying together in warm summer nights. 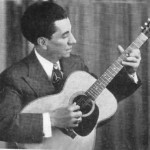 Rebetiko, plural rebetika, (Greek: ρεμπέτικο, pronounced [reˈbetiko] and ρεμπέτικα respectively), occasionally transliterated as Rembetiko, is a term used today to designate originally disparate kinds of urban Greek folk music which have come to be grouped together since the so-called rebetika revival, which started in the 1960s and developed further from the early 1970s onwards. offer for your holidays on Amorgos Island! Search from more than 130 articles and pages, visit our Interactive Map and customize your view on Amorgos! Search in archive, keywords, categories. Amorgos Island Magazine offers quality contents for responsible travellers as a social-web-project. Be a part of the magazine, post comments, share photos, videos, or write an article about Amorgos.